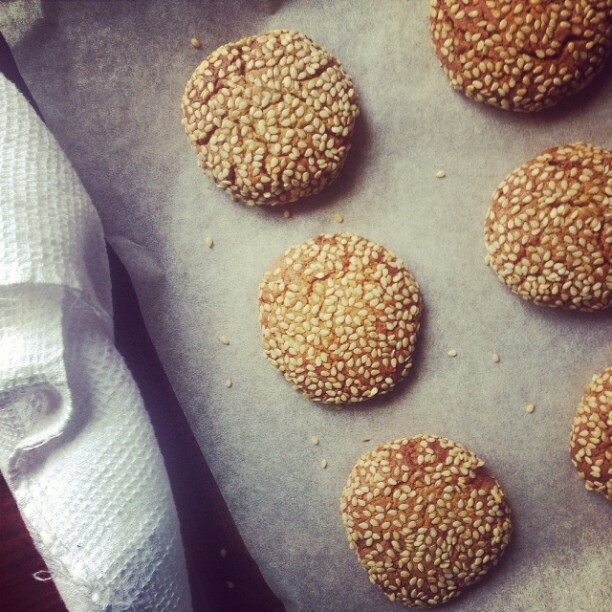 One of my favourite recipes from my first book Make Bake Love is for Peanut Butter Sesame cookies. A salty sweet dough rolled in sesame seeds then baked till golden and cracking around the edges. I’ve baked literally hundreds of them at this stage and I would still say they’re my desert island biscuit. Loads of people make them and tell me they love them which is really great. The only problem is… there’s quite a bit of sugar in them. Two different types of sugar. So I can’t really justify eating a huge stack of them with a glass of cold milk. I can’t admit to it anyway. But then recently I spotted a recipe for three ingredient peanut butter cookies doing the rounds online. Just egg, caster sugar and nut butter. I have used coconut sugar in place of the demerera before but kept the caster sugar in there too. Coconut sugar is low on the glycaemic index but it’s high in fructose so will still put stress on your liver. I’m afraid sugar is sugar no matter what. Armed with that information it’s up to us to make the right choices so I’d go for the coconut sugar over the super refined white stuff as it has minerals, vitamins and inulin. Another benefit is that coconut sugar has a really nice butterscotch, almost caramel flavour that really adds to baking. 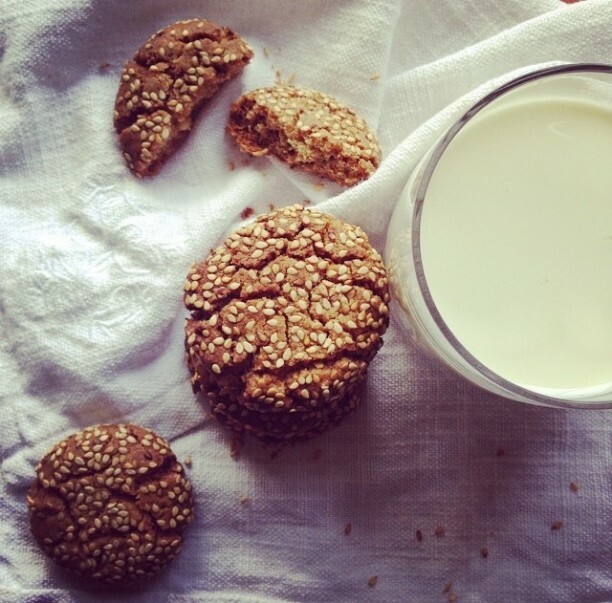 So after a bit of experimenting I give you the new and improved Peanut Butter Sesame cookie recipe! Now with no gluten, grains or refined sugars. Just pure melt in the mouth deliciousness. Hurray! The new recipe peanut butter cookies. Just as delicious as the original. Preheat the oven to 180C. Mix the peanut butter, egg, sugar and vanilla in a bowl until smooth and well combined. Roll teaspoons of the mix into little balls. Place the sesame seeds in a bowl and roll each ball in the seeds. Place on a tray loned with baking paper. Flatten the top of each cookie with a fork. Bake for 10-12 minutes until the sesame coating is cracking and the coookies are nicely browned. Leave to cool on the tray for a minute before transferring to a wire rack. Store in an airtight tin. 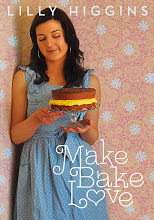 This entry was posted in Uncategorized and tagged baking, biscuits, coconut sugar, cookies, peanut butter. Bookmark the permalink. 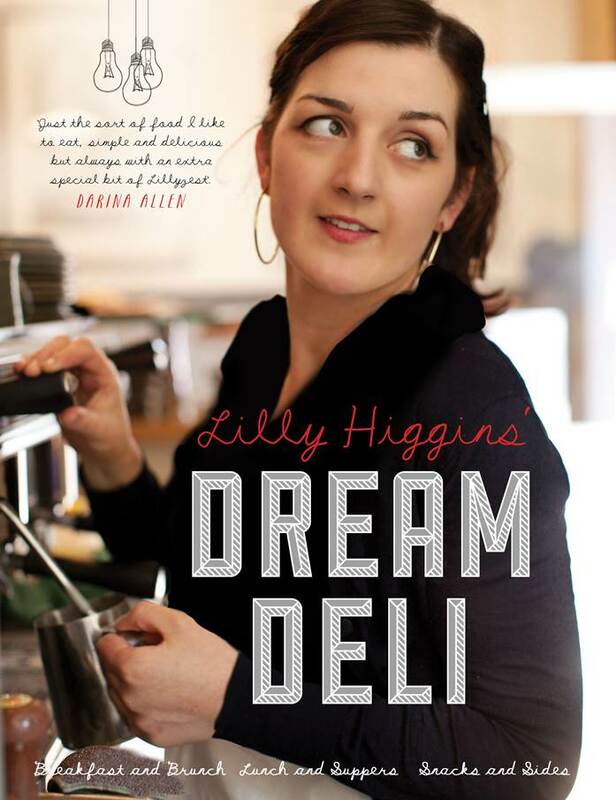 Lilly Higgins: Food blogger, cookbook author and food photographer with a love for all things edible. 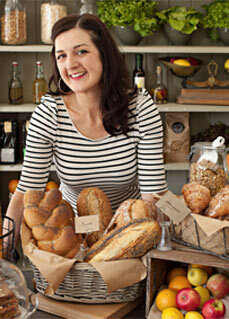 Columnist with The Irish Times.